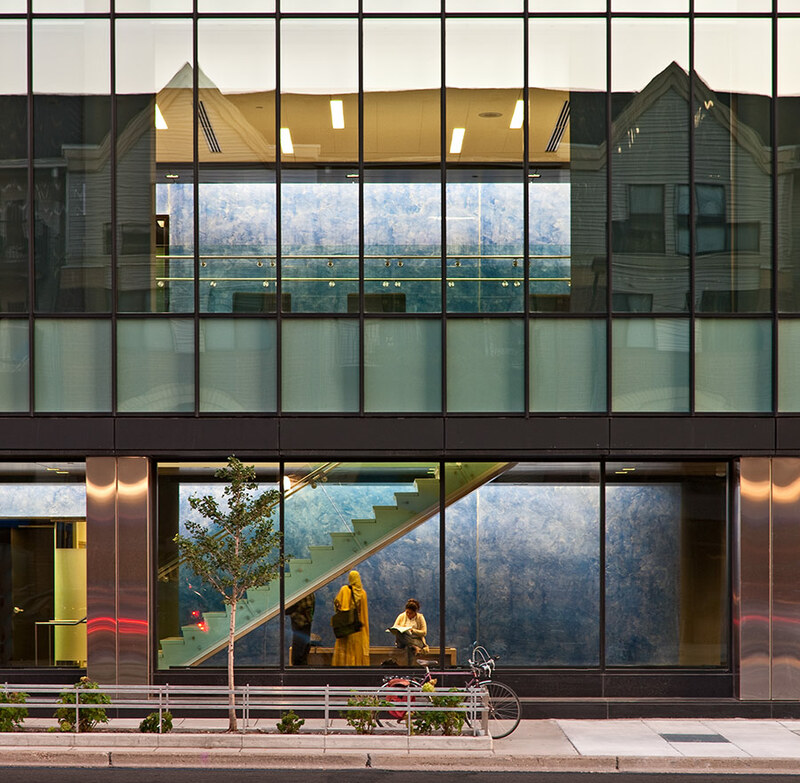 This comprehensive renovation in downtown Minneapolis was conceived as a new transparent cornerstone to an urban campus. An existing building, a former auto showroom built in 1912, was reimagined to provide a welcoming face for the College along Hennepin Avenue. 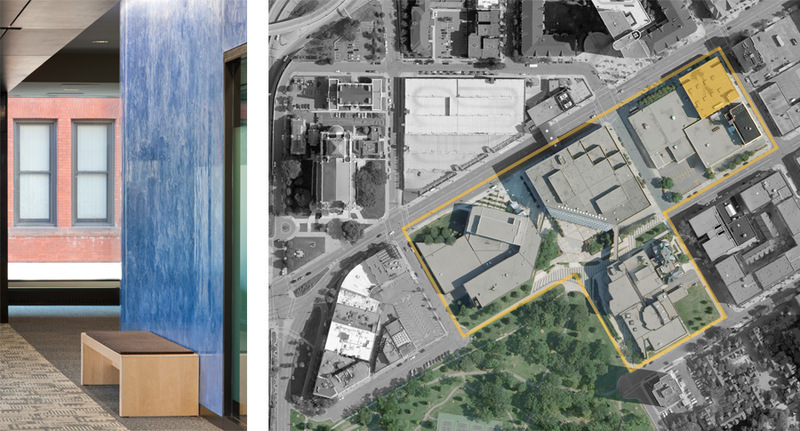 Adjacent to this building, the front bay of a one story existing warehouse was removed to create a green space that reinforces the feeling of a cohesive urban campus. 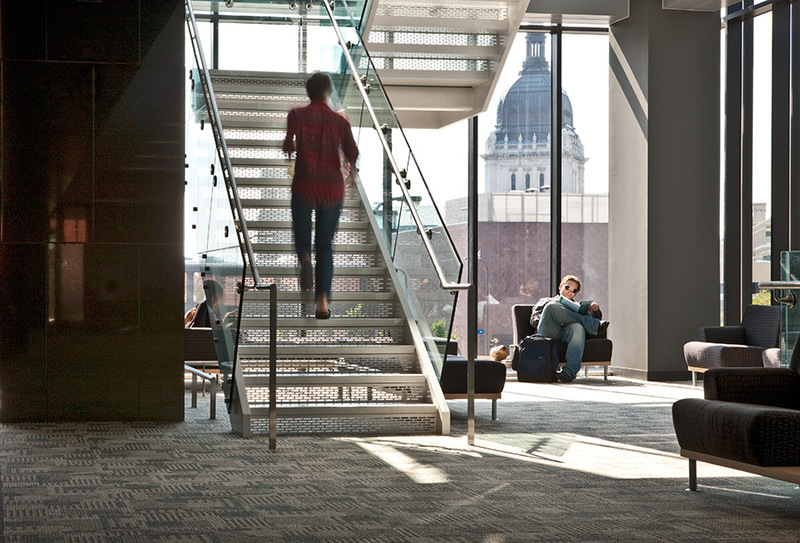 The face of the existing building was envisioned as a 3-level porch and re-clad in glass to house student commons spaces on each level. Cascading stairs connect students to the city and the remaining campus buildings within this zone. Offices and science teaching laboratories are located behind this porch with rain-screen terra cotta tile attached to the remainder of the existing structural frame. 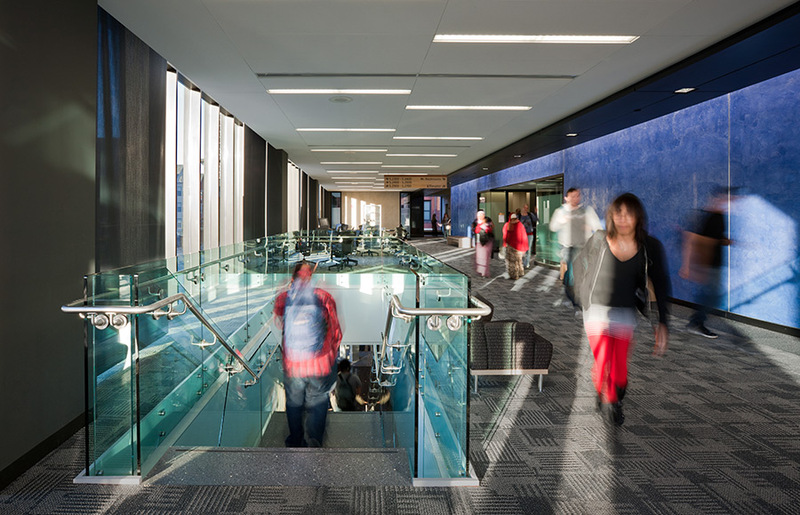 The reuse of these existing structures, coupled with other sustainable design and construction features, resulted in an economical, sustainable, and dynamic presence for the College in downtown Minneapolis.